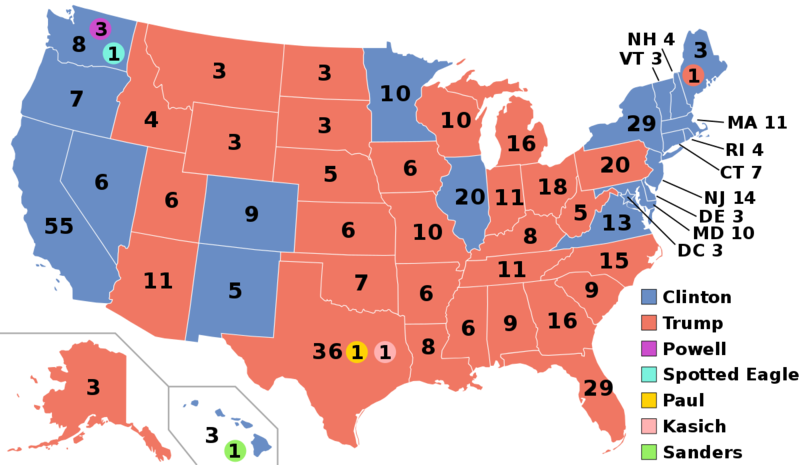 The lay of the land: the electoral college vote from 2016. The red states voted for Republican Donald Trump, the blue states for Democrat Hillary Clinton. Last update: April 25th 2019. In 2020 the US chooses its next president. He or she will take office on January 20th 2021. A powerful third-party candidate could arise, but as it stands now a Democrat or Republican will likely win. Here are the top Democrats and Republicans who are running, along with their opinion poll averages (from Real Clear Politics). There are 20-some candidates running. I list only the top ones according to opinion polls (last updated April 25th 2019). Click on candidate pictures to go to their Twitter accounts. 68% Donald Trump (1946- ), right-wing White nationalist, is the sitting president. He won the election in 2016 by narrowly winning the Rust Belt states of Pennsylvania, Michigan and Wisconsin. 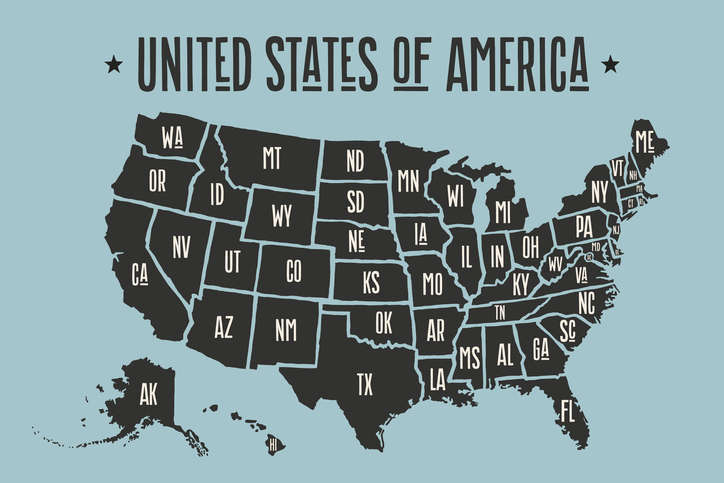 Republicans did not carry those states in the 2018 midterm elections. 29.3% Joe Biden (1942- ), centre-right Democrat, was vice president under Obama (2009-17) and, before that, senator of Delaware since forever (well, since 1973). Ran for president in 1988 and 2008. Comes from Scranton, Pennsylvania, from the very Rust Belt that Trump narrowly won. And probably has more foreign policy experience than anyone running so far. Check out the Creepy Joe videos on YouTube (he has promised to do better). 23.0% Bernie Sanders (1941- ), left-wing senator of Vermont since 2007, former congressman (1991-2007) and mayor of Burlington (1981-1989). Lost the 2016 Democratic race to Hillary Clinton. Favoured by Cornel West and (so far) me. 8.3% Kamala Harris (1964- ), centre-right senator from California (2017- ) and, before that, the state’s attorney general (2011-17) with a questionable record on criminal justice. The party’s electoral calendar and identity politics favour her: California and most of the Blacker states vote early in the primary season. 7.5% Pete Buttigieg (1982- ), aka Mayor Pete, has been the mayor of South Bend, Indiana since 2012, population 101,168. Never heard of him till this year. He is openly gay and, despite his slender achievements, a media darling. 6.5% Elizabeth Warren (1949- ), left-wing Democratic senator from Massachusetts, does not believe in the divine right of billionaires or banks to run the US as their private fiefdom – not a widely shared opinion among Democrats or Republicans in Washington. 3rd: Super Tuesday: AL, AR, CA, MA, MN, NC, OK, TN, TX, UT, VA, VT.
8th: ME (date may change). 10th: ID, MI, MO, MS, ND, OH, WA. 28th: CT, DE, MD, PA, RI. 2nd: MT, NJ, NM, SD. TBA: CO, GA, KS, NE, NY, WY, American Samoa, Guam, Northern Marianas, Virgin Islands. Summer: party conventions choose who they will run for president and vice president. September to October: television debates, last-minute scandals. November 3rd: the general election. January 20th 2021: the winner takes office. 12 American presidential elections: 1800, 1820, 1840, 1860, 1880, 1900, 1920, 1940, 1960, 1980, 2000, 2012. As my fascination with Northern soul continues, this Motown song was made in the US in 1965 but did not catch on till 1979 when it became part of the Northern soul dance scene of northern England. The people in the video like the song as nostalgia. I never heard it before, but I like it because of the strong beat and the violins – probably because Motown (and Philly soul and disco) were burned into my brain at an impressionable age, back when they were on the radio in the US as new music. In 1965 Berry Gordy destroyed all but two copies of this song because Wilson wanted to get into song writing and music production, something he was better at, giving us, among others, “Stoned Love” (1970) and “Love Child” (1968) by the The Supremes and “Keep on Truckin'” (1973) by Eddie Kendricks. 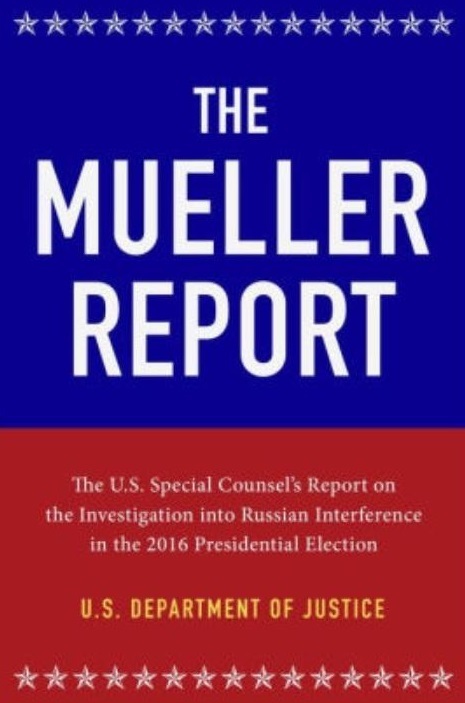 The Mueller Report (2019) lays out the findings of Special Counsel Robert Mueller, former head of the FBI who looked into the Russiagate scandal. The full 448-page report has yet to be made public, but a version with about 10% of it blacked out (redacted) by Attorney General William Barr came out on April 18th 2019. Did Russia interfere in the US elections in 2016? Did Donald Trump or his men conspire with Russia to win the election? Did Trump, as president, obstruct justice? Answers: Yes, Probably not, Almost certainly yes. 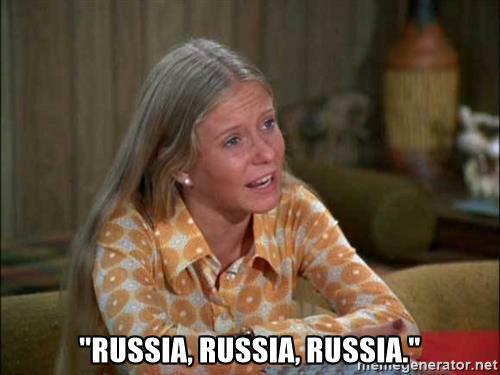 Evidence: There is plenty of evidence to show that Russia did in fact interfere and that Trump did obstruct justice. But Mueller could not find enough to charge Trump or his men with conspiracy. No collusion: Or, more precisely, no conspiracy, the term the FBI and the law uses. Trump’s men talked to Russians countless times and lied about it, but there seems to have been no there there. Or no smoking gun that Mueller could find among the lies and incomplete evidence (some of it had been destroyed). It seems that Russia kept Trump and his men at arm’s length, probably fearing that they would screw it up. Or at least that is the sense I get from reading the 30-odd pages of the executive summaries. Russian trolls: The Internet Research Agency, a troll farm in St. Petersburg, had been carrying out what it calls information warfare on the US since 2014. At first it was just to sow discord in the US, but during the 2016 election it was about defeating Hillary Clinton and electing Donald Trump. On top of trolling the Internet, they unleashed bots, placed ads, and even staged what were meant to seem like grass-roots rallies. Russian hackers: In early 2016 the GRU (Russian army intelligence) hacked into the computers and computer accounts of the Democratic Party and Hillary Clinton’s campaign. Then from July to October they made some of the emails and files they found public by way of DCLeaks, Guccifer 2.0 and WikiLeaks. Obstruction of justice: Trump fired James Comey, the head of the FBI who was looking into Russiagate before Mueller, and then repeatedly tried to get Mueller fired too. He also tried to get witnesses to lie for him and promised pardons if they did. Fortunately, not everyone was willing to lie for him. No charges against Trump: Mueller did not charge Trump with a crime because only Congress clearly has the power to charge (impeach) and convict a sitting president. Impeachment: Mueller gave Congress more than enough to impeach and convict Trump on obstruction of justice. But whether the Democrats in the House have the courage or Republicans in the Senate have the honesty to remove Trump from office remains to be seen. If they chicken out, the 2020 election will be the second line of defence. Source: Mainly the executive summaries in the Mueller Report (PDF, 139 MB). 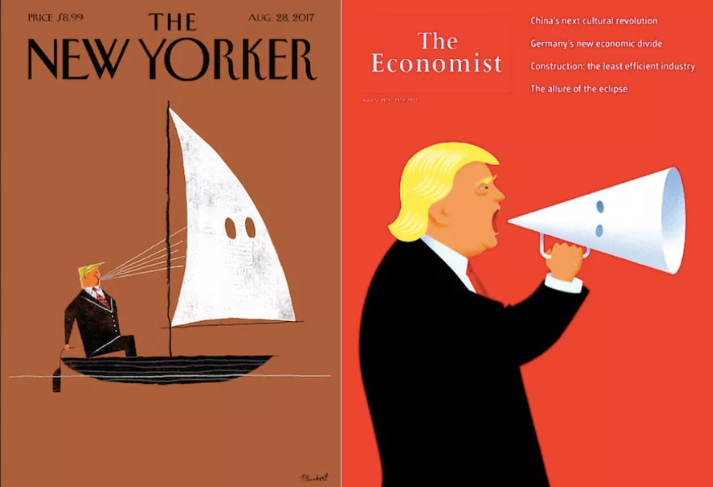 From left to right: covers of the New Yorker and The Economist in August 2017 in the wake of the Charlottesville riot. Is the Republican Party in the US, now the party of Donald Trump, a hate group? The Republican Party in 2019 easily fits the SPLC definition, but not the FBI one. The FBI definition turns on the words “primary purpose”. Leadership, donors: For the leadership and the donors the “primary purpose” of the Republican Party is to make the donors even richer than they already are. In particular against Muslims, Blacks, Latinos, immigrants, gay and transgender people. It is why Republicans do so well among people who are none of those things and do so poorly among those who are any of those things. Voters: Most Republicans voters are not rich. And it is not as if the Republican Party still stands for family values or balanced budgets or stuff like that anymore. For most Republicans all that is left is the hate. Hate group. Southern Strategy: By whipping up White racist fears to win the White vote for more than 50 years, the Republican Party has now assembled within its ranks the most racist half of the country. Trump is more effect than cause, more symptom than disease. The rise of Trump: Before the rise of Donald Trump, most Republican leaders were careful to limit their racist words to dog whistles and their racist actions to plausible deniability. But with Trump the mask has come off. Yet, despite his naked racism, – despite his racist rhetoric (like saying Latin American immigrants are “animals”), despite the Muslim ban, the Charlottesville riot, Hurricane Maria, family separation, children in cages, internment camps at the border, and so on – despite all of that, 35% of the country has stood with him all the way. Because they are even more racist than he is. They do not list the Republican Party as a hate group, but way smaller groups with way less power. Is the Democratic Party a hate group? Trump v Hawaii – the Republican mainstream signs off on Trump’s “crazy” ban. Racist Uncles – for most White Americans and their main media outlets, the Republican Party is too big to condemn as racist. 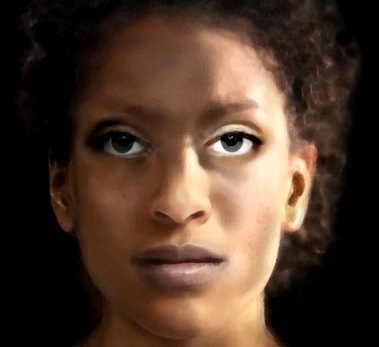 Here is what people in Britain have looked like over the past 10,000 years. This post is based mostly on reconstructions of ancient remains. 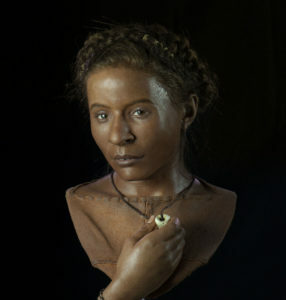 There is a fair amount of guesswork in reconstructions, but in the 2010s we have not just the bones and archaeology to go by, but in many cases the DNA too, which can tell us skin colour. Britain was not always as lily-white as many suppose. Most dates are approximate. Click on images to enlarge. 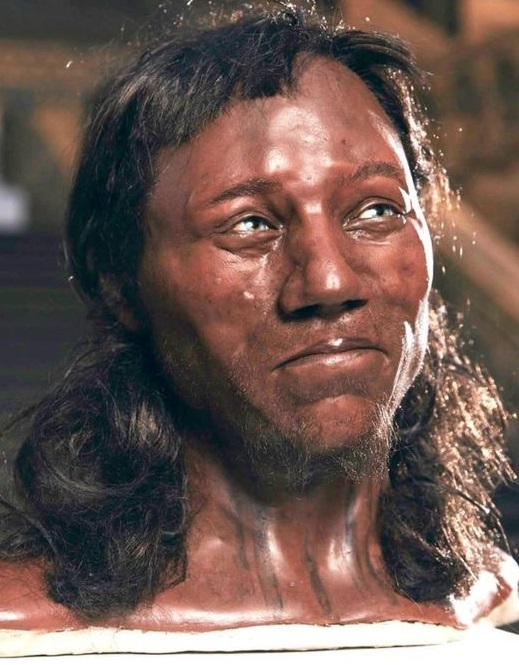 -7,150: Cheddar Man. Dark brown skin, black curly or wavy hair, and blue eyes! We know all that from his DNA. He was lactose intolerant and stood 1.66 metres tall (5 foot 5). His people were hunter-gatherers. Britain was still part of mainland Europe. -6,000: Britain now an island. -3,600: Whitehawk Woman, named after the suburb of Brighton where she was found. Brown skin, black hair, and brown eyes. Note that some, like the BBC and National Geographic, show a picture of her with lighter skin. The picture above comes from the very gallery in Brighton where she appears. She died at 25, probably during childbirth. She was 1.45 metres tall (4 foot 9). Her people were farmers who came to Britain in about -4,000 from Iberia (now Spain & Portugal). They built monuments like Stonehenge with large stones called megaliths. It is unclear whether they mixed with the hunter-gatherers, wiped them out, or merely outnumbered them over time. -2,400: Ditchling Road Man, also found near Brighton. Light skin, light hair. He was part of the first wave of the Bell Beaker people. They almost entirely replaced the Iberians, making Britain mostly white. They were probably the same people as the Celts that the Romans found in Britain over 2,000 years later. The Ditchling Road Man lived through periods of malnutrition (war? famine? poverty?) which seemed to have stunted his growth. He was between 25 and 35 when he died. -300: Slonk Hill Man: found near the Holmbush Shopping Centre not far from Brighton. He is Celtic – you can tell by the plaid clothing. 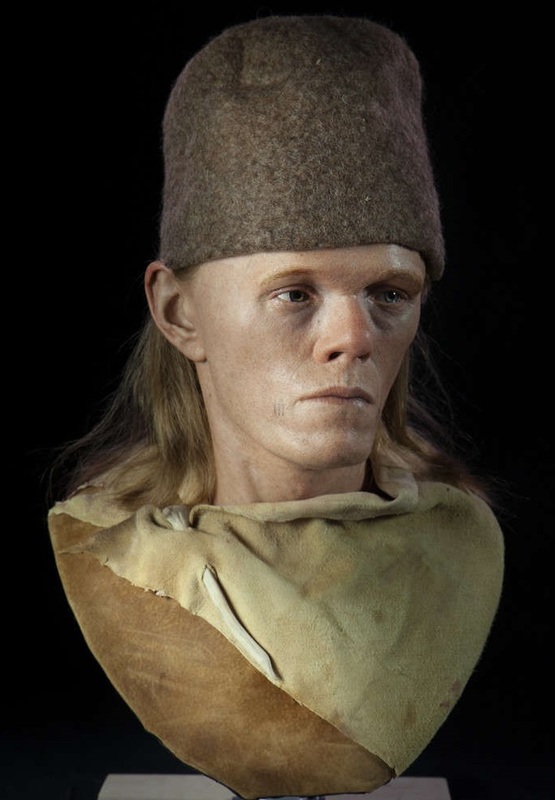 Buried with a shepherd’s crown just like the Whitehawk woman 3,000 years before! Died in his 20s. 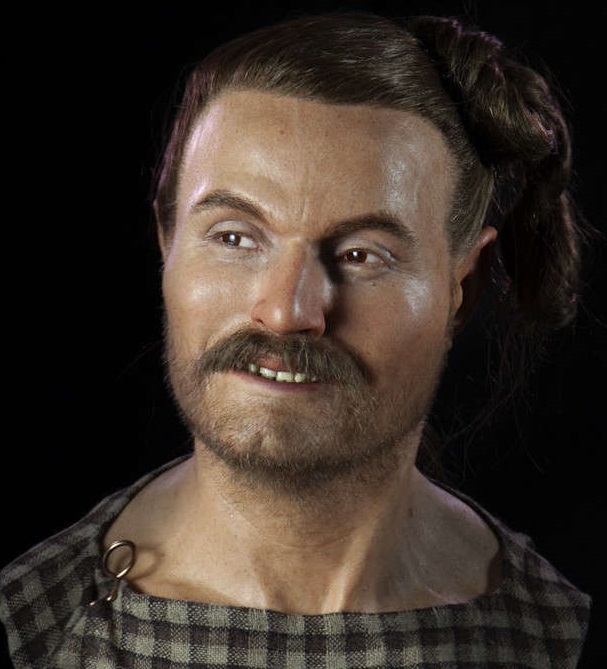 41 to 410: Roman Britain. 450 to 1066: Invasions by Angles, Saxons, Jutes, Danes (Vikings), and the Norman French. 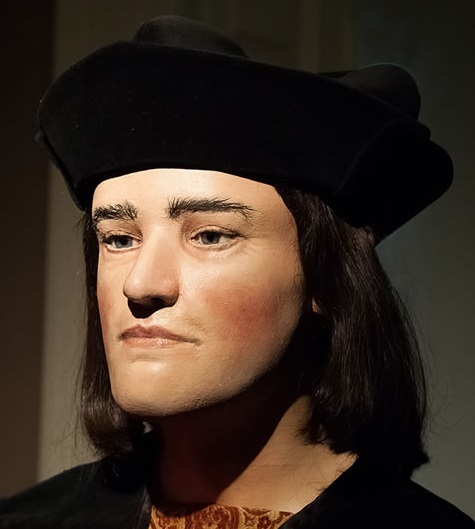 1485: Richard III, king of England, as reconstructed from his remains, found beneath a car park in 2012. He died at 32 at the Battle of Bosworth Field during the Wars of the Roses. 1815 to 1942: The height of the British Empire. 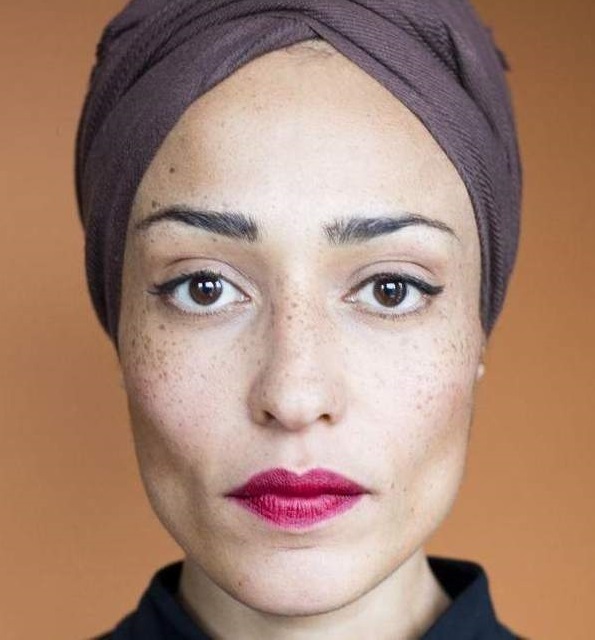 2016: Zadie Smith, in a live photograph at about age 41. She was born in Willesden, London to an English father and a Jamaican mother, both of whom were born under the British Empire. Her mother came to Britain in 1969. Sources: Mostly from an exhibition at the Elaine Evans Archaeology Gallery in Brighton in 2019; BBC (2019); National Geographic (2019). 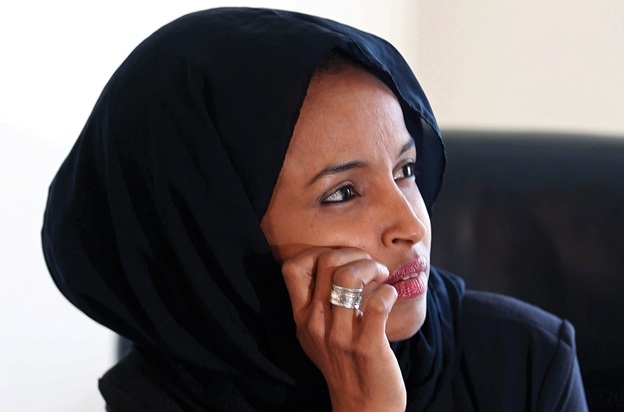 Ilhan Omar (1981- ) in 2019 became one of the first two Muslim American women in the US Congress, and the first ever to wear a hijab (Muslim head covering). She is a progressive (left-wing) Democrat who represents Minnesota’s super-blue 5th district, which covers Minneapolis and some of its suburbs. It used to be represented by Keith Ellison, also a Black Muslim. For Republicans of the far right she has quickly become a huge hate figure in just a matter of months. It is not just her left-wing views. She triggers their hatred of Blacks, Muslims, women, immigrants, and refugees. The only way it could get any worse is if she came out as lesbian or transgender. For Democrats of the centre right she made a wonderful token – “Look how diverse we are!” – until, that is, she started opening her mouth. Tokens are supposed to be seen, not heard. She and Alexandria Ocasio-Cortez (AOC) speak unashamedly of their left-wing positions in a party cowed by Wall Street, Israel, and the military-industrial complex. For me she is a hero. I doubt I agree with all her positions, but I admire her courage and love that she stands up for a vision of the country (as opposed to its reality) that is way closer to mine than that of most elected officials. People can no longer flee to the US from her native Somalia – because of President Trump’s Muslim travel ban, upheld by the Supreme Court. Framing: Omar looks at the country through Thomas Jefferson’s liberty-and-justice frame. Trump looks at it through Jefferson’s White racial frame. “Here’s the truth: Far too long we have lived with the discomfort of being a second-class citizen. And frankly I’m tired of it and every single Muslim in this country should be tired of it. 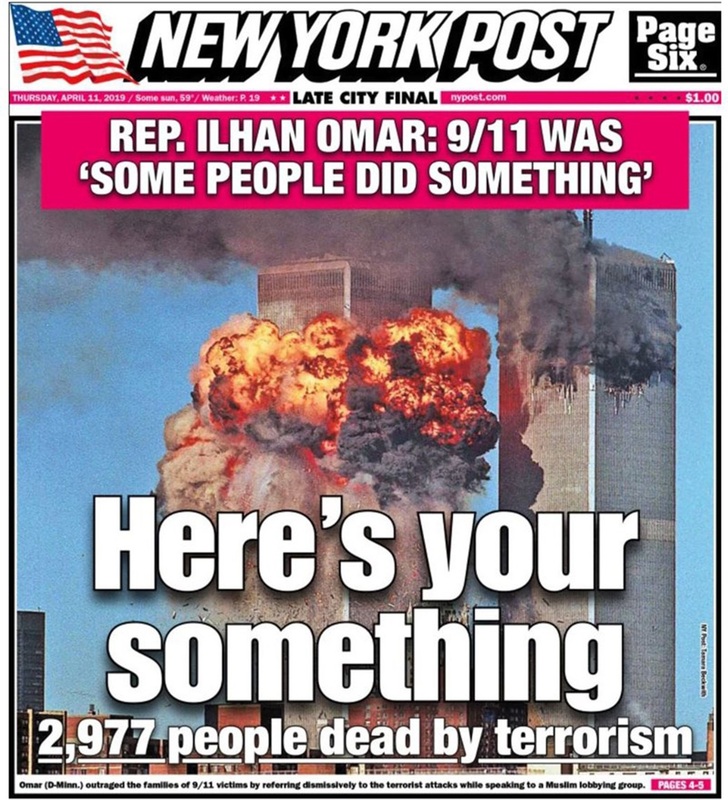 The front page of the New York Post, April 11th 2019. In February and March the moral panic was over her supposed anti-Semitism. Now in April it is this dishonest fearmongering, from the president himself, putting her life in danger. “Let me tell you what’s happening. “Trump is transitioning into campaign mode. “He has determined that attacking and demonizing a Black, immigrant, Muslim woman in a hijab is good for his base. They love this stuff.